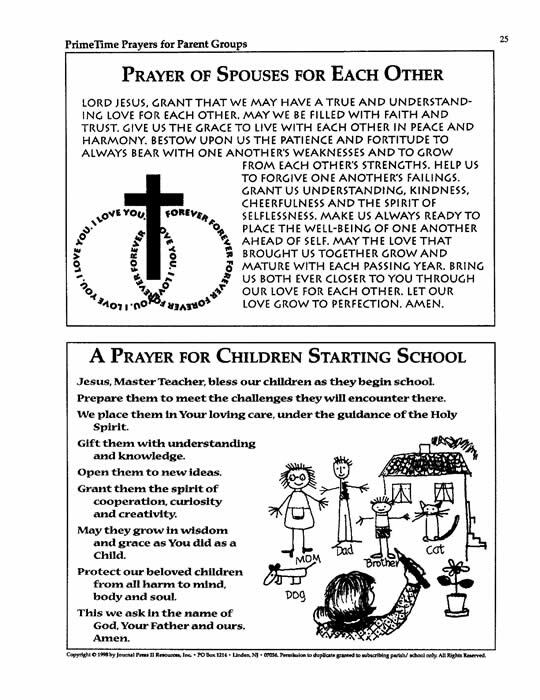 Prime Time Prayers for Parent Groups is a collection of traditional and contemporary prayers, meditations, and reflections for Parents. The prayers in this set are for parents and guardians to use anytime that is prayer time, which is considered prime time. Some of the prayers are good personal prayer reminders. 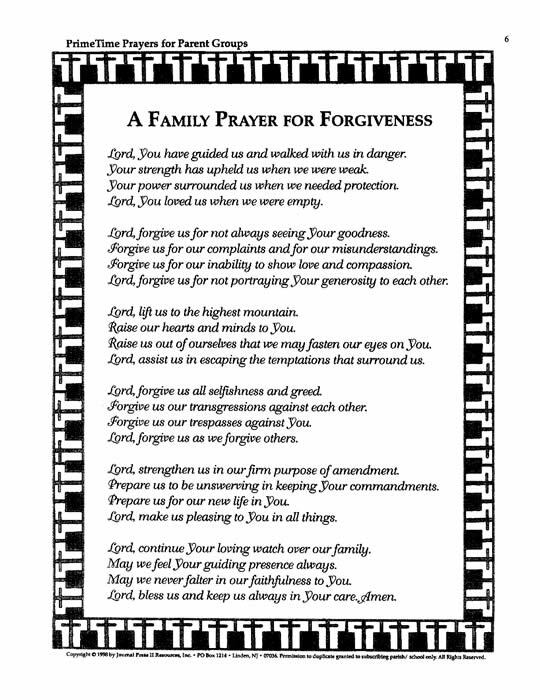 In the back of this set are some clip and paste prayers the can be used when parents gather for meetings, courses, or other special occasions. The Christian Parent Pin (shown at top right) and other pin information is available by clicking. Your purchase (below) will enable the placement of the PrimeTime Prayers for Parent Groups MasterSet PDF on your computer. You will receive an e-mail to enable your immediate download for the set.